Crotalus horridus is one of the only venomous pit vipers found in many central and eastern regions of the United States. Its distribution includes several areas of Texas, all the way north to New Hampshire and New Jersey, excluding the state of Michigan. 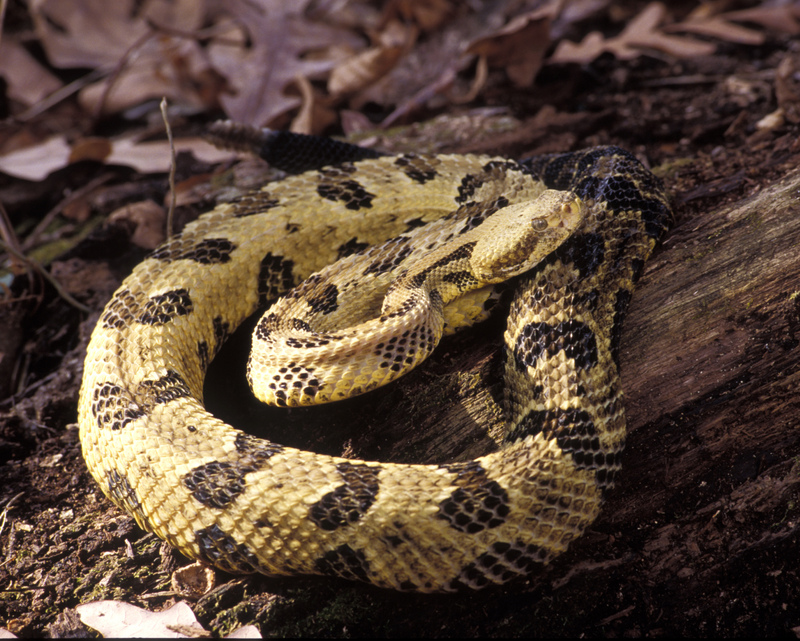 Timber rattlesnakes were once extremely abundant and ubiquitous across this range, but due to numerous factors, including habit destruction and harmful human activity, these fascinating organisms have declined greatly in number. Due to this devastating loss, several states, including Indiana, Ohio, Illinois and Minnesota have classified C. horridus as an Endangered or Threatened Species. In other states, such as Iowa, Wisconsin and Missouri, it has been listed as a Protected Wild Animal in order to ensure its continuance. Many are killed due to natural disasters and predators, while the majority are killed by humans encroaching on their territory. The few communities that remain are relatively isolated and dependent on our HELP and RESPECT for their survival. 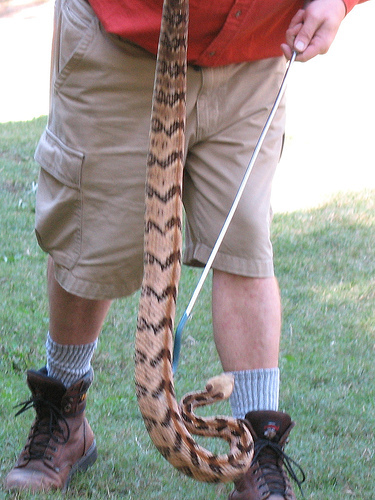 Though the timber rattlesnake is the third largest poisonous snake in all of the United States, it is rarely aggressive. In fact, it has been known to carry out a rather quiet and secretive lifestyle. Only when threatened or handled will the snake pursue its provoker and fight back. Remember, they are more afraid of us than we are of them, so please be considerate!